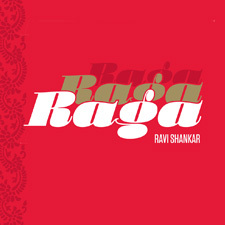 Amidst all the anticipation around the huge Apple Records reissue program (scheduled for October 25), and the new George Harrison/Ravi Shankar “Collaborations” release (scheduled for October 19), there’s also further news about another previous Apple release called “Raga” (which is not part of the current official Apple Records reissue series). Quite separately Ravi Shankar’s East Meets West company is re-issuing “Raga: A Film Journey Into the Soul of India”, a 1971 film about Shankar’s life and music, which features appearances by George Harrison. The soundtrack is a former Apple vinyl title – but it won’t be part of the latest 16-title Apple CD reissues program. This entry was posted in Apple Records, Beatles, Beatles Collecting, Beatles Music, Beatles Related, Beatles related DVD, George Harrison, Ravi Shankar and tagged Apple Records, Beatles Collecting, Beatles Related, George Harrison, Raga Ravi Shankar, Raga Reissue, Ravi Shankar by beatlesblogger. Bookmark the permalink. 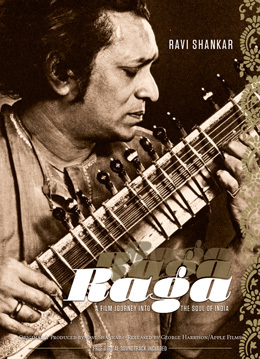 I just downloaded the Raga soundtrack today from the A to Z Media website using the code that came free with the DVD. I compared the track names and times with the original Apple LP and it seems like something went wrong in the timings/track names on Side 2 of the LP compared to the new downloaded tracks. Has anyone checked this out?